When my siblings and I were little, Dad used to help us make Mom breakfast in bed. I’m sure she knew what we were doing (no one could possibly sleep through the noise we were making in that kitchen), but she feigned surprise anyway. Dads skills in the kitchen didn’t stretch much past eggs, so that’s what mom got, but as I’ve grown older I’ve realized french toast is just eggs with an extra step. It’s so easy and a seemingly more luxurious replacement for that pile of scrambled mess. (This peach version looks delectable!) 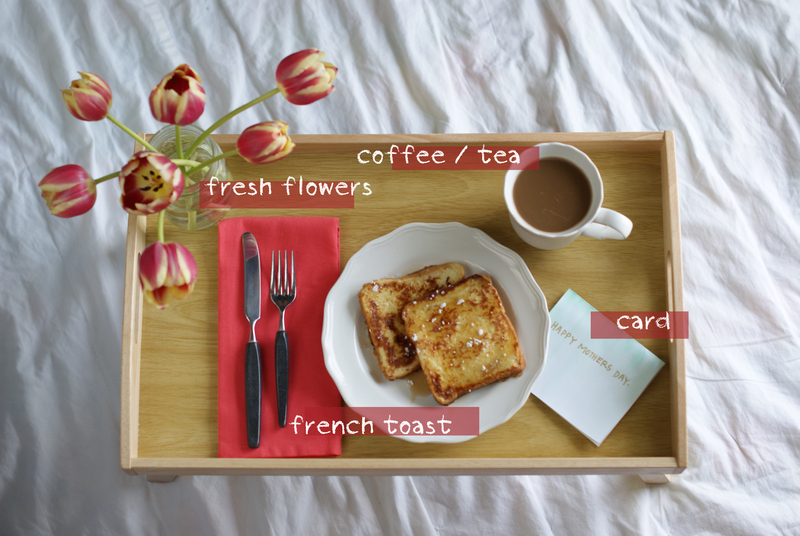 Tray up mom’s breakfast with her favorite beverage, some fresh flowers, and a thoughtful card. 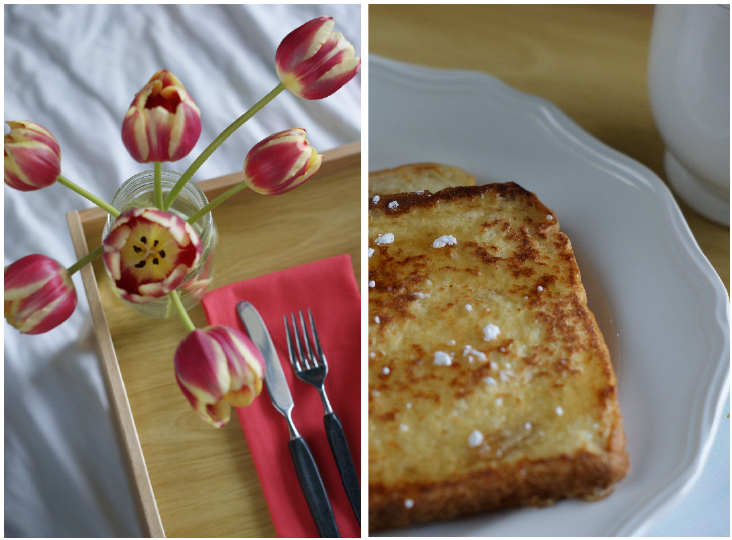 Are you a mother expecting a breakfast in bed? 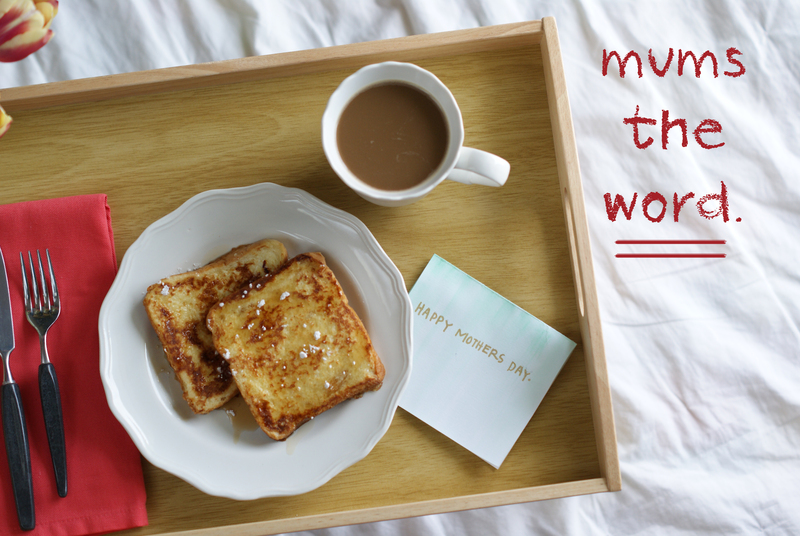 Will you be treating mom to a special breakfast this year? 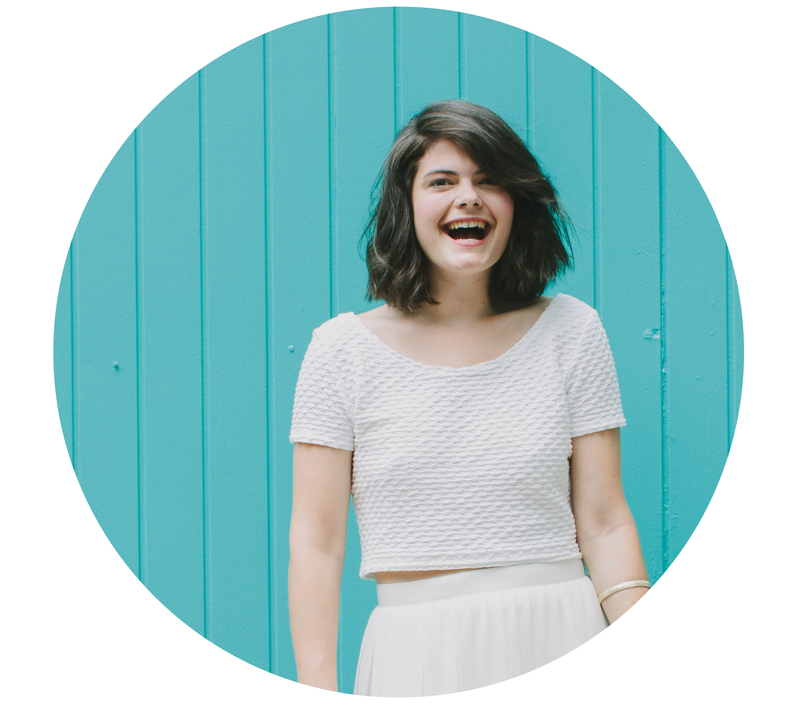 ← mother’s day gift ideas. How cute. My 5-yo won’t prepare me breakfast and I don’t know how I feel about that, lol. But we usually do is prepare breakfast together and that to me makes every meal special. I already bought two presents for mum’s day! I repeat TWO. 🙂 I think it’s good enough…even without bringing the breakfast to bed! 🙂 I really liked your post!